With the Wadata Plaza national headquarters of the Peoples Democratic Party (PDP) engulfed in a self-inflicted crisis, peace appears to be eluding the major opposition party. The ensuing confusion has made a joke of various attempts by stakeholders and supporters of the party to achieve lasting peace and reposition the party for the possible takeover of power from the ruling All Progressives Congress (APC). Citing various court declarations reaffirming his leadership of the party after a national convention initially billed for Port Harcourt, Rivers State failed to hold, Senator Ali Modu Sheriff has been at loggerheads with certain elements within the party, who chose former Kaduna State Governor, Senator Ahmed Makarfi as chairman of a “national caretaker committee”, a contraption alien to the constitution of the party. While many crises in the party were settled as “family affairs” in the past, the recent bout that has engulfed the PDP is unbecomingly protracted. However, THISDAY checks indicate that the party has hit the road to needed reconciliation with many warring interests now sheathing their swords. After the botched national convention in Port Harcourt, on May 21, various efforts towards reconciling the different factions within the party by its leaders have begun to yield considerable results. Instructively, the Port Harcourt convention, which sacked the Sherrif-led National working Committee (NWC) and replaced them with a 7-man Caretaker Committee led by Senator Ahmed Makarfi, had also set up a reconciliatory committee led by the Bayelsa State Governor Seriake Dickson. The Dickson committee hit the ground running with an appeal to the Professor Jerry Gana-led faction of the party, which had selected a rather bizarre 57-member “Interim” National Committee led by former Deputy Senate President Ibrahim Mantu at their parallel convention held in Abuja on May 21. The Dickson Committee was widely received within the party as various leaders including the Deputy Senate President, Ike Ekweremadu, Gana, and most of the 12 governors under the party’s platform acceded to their purpose. Indications that peace might have returned to the beleaguered party became more vivid two weeks back, when the Wadata Plaza Headquarters of the party was reopened after the police sealed up the place, citing the various court cases instituted by various aggrieved interests. 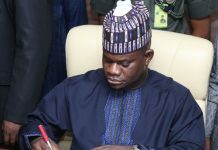 The reopening of the secretariat was not unconnected to the resolution reached on a certain Thursday by an expanded meeting of the party’s organs, including the Board of Trustees (BoT), governors, National Assembly members and other stakeholders, which mandated members to withdraw their suits. While there was yet considerable bickering from the Sheriff camp for the manner his leadership was jettisoned, there appears to be an avalanche of support for Senator Makarfi’s new designation: 10 of the 12 PDP governors were physically present at the inauguration of the National Caretaker Committee while the PDP caucuses at the National Assembly also affirmed their loyalty, as mentioned by Ekweremadu; and a show of solidarity from Gana as well as Mantu, who attended the ceremony at Wadata Plaza. 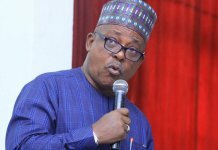 While handing over the to the new leadership, Uche Secondus, immediate past Deputy National Chairman admonished leaders of the party to show a sense of unity and dedication to purpose. “Our leaders must go back to the grassroots. It is not enough to be in Abuja and say I was former this, former that. We must go back to the grassroots because we no longer have government, security agencies and money. “This party is strong and capable of resolving its problems. This party is not divided and will move forward. This party is ready to capture power in 2019,” he said while urging his fellow party men and women to buckle up. Ekweremadu brimmed with optimism about the chances of the party in 2019 while using the ceremony to call for discipline among party members across board. “Our promise to the people of Nigeria is that we are going to produce the next president of this country in 2019. We will produce the president based on superior argument. We want our president to succeed but we believe that we have better things to offer to Nigeria because we have done that in the past and we will do it again,” Ekwereamadu said. But certain concerns about flouting a Lagos High Court directive which had on May 24 ruled that the party maintained the status quo prior to the Port Harcourt Convention is rightly placed. This soon blew up the face of the party when Justice Abang of the Federal High Court Abuja, again upheld the Sheriff leadership of the PDP, thus compounding the seeming peace the party was about to start enjoying. Although this was believed to have greatly undermined the rescheduled August 17 national convention in Port Harcourt, the Makarfi leadership of the party has promised to go on with the convention, dismissing the Abang ruling as kangaroo. A constitutional lawyer and member of the party, Alhaji Inuwa Adamu told THISDAY in Lafia, Nasarawa State that “the party must not be seen as a law-breaking political party as there is a court injunction against the Makarfi-led National Caretaker Committee. 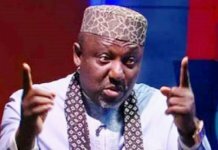 “We cannot afford further disagreement as Nigerians are waiting for us to save them but we must also appear to have put our house in order. Everyone appreciated the need for harmony in the party but we must not sacrifice justice in doing so. The PDP constitution is very silent on this issue of (National) Caretaker Committee and we must be very careful about it,” the PDP stalwart advised. But as the leading opposition party, the only option for the party is to resolve whatever differences in the interest of Nigeria’s democracy. The ruling APC is believed to have abysmally come short of the expectations of Nigerians and a viable opposition could serve the democratic quest for quality governance. Thus, while the search for harmony in PDP continues, further checks by THISDAY indicate a need for some of the surviving founding fathers of the party to rise to the occasion and call the flanks to order is both instructive and imperative. As one among those whose democratic activism berthed the formation of PDP in 1998, Alhaji Sule Lamido, a former governor of Jigawa State is widely perceived as one with the wherewithal to provide a rallying ground for PDP to reinvent itself. His unflinching loyalty to the political course of the party is worthy of emulation and should be a needed moral authority to wield political influence. 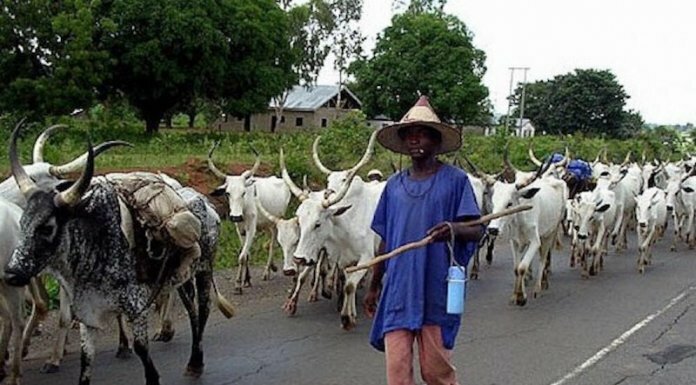 A cross-section of interests profiled for this report are of the consensus that Lamido should rally the remaining elders of the party like former Vice-President Alex Ekwueme and their ilk to salvage the situation. For Bob Ekwere, founder of the PDP Youth League, “Sule Lamido has shown exemplary dedication to the party and is now seen as “Baba” of PDP. For us, in the youth wing of the party, he is an example to us and his voice is crucially needed for reconciliations. There is a beckoning for all interests in Africa’s largest opposition party to unite and reposition to take power. Sule Lamido should rally his comrades to rise to this occasion. Next articleIs Buhari’s Nepotism, the Worst in Nigeria’s History?